Membership satisfaction, retention, increased consultation and sustainability are key to the future of Archery GB – and we are making great progress, delegates heard at this year’s Archery GB Conference, held at the Crowne Plaza Birmingham NEC. Chief Executive Neil Armitage said: “It’s been a good 12 months. I’m really pleased to report our retention has increased from 64 to 68 per cent. That’s a really good result and ahead of where we expected it to be. “We know that the more we understand our members, the more relevant we can be. That’s why Archery GB is working with the universities of Birmingham and Portsmouth to really understand the experience of archers. Some 700 archers have provided us with in-depth information about their experiences in their clubs, for coaching and archery in general – and we thank them for their help. “It will provide us with valuable, independent, robust evidence that we can use to develop more opportunities to provide positive experiences for archers and coaches. This is being helped by technological advances which, as well as allowing us to offer security and a slicker, cost-effective and more efficient member and range registration process, also includes the new Learning Curve app for coaches and volunteers. Research is also allowing us to improve communication through Archery UK , ezines and our social media platforms, helping to ensure we get the right information and support to the right people at the right time. Invaluable insight is also coming from the Sport Team Advisory Strategic Advice Group which was set up to share knowledge and experience, check and challenge the Sport Team’s approach, activities and future direction, making sure that grassroots archery is at the heart of all decisions. A special interest group is being established to focus on four key priority groups: the over 55s, women and girls, children and young people and disabled people. We are also keen to get young people involved and have made a great start with our new Ambassadors and Mentor programme, novice-led competitions and encouraging school competitions. Another initiative, creating a new regional role – an archery club development officer – offers another way of giving local support. The post is jointly funded by Archery GB and Southern Counties and the aim is to extend the idea to other regions as quickly as possible. Financial sustainability is vital to Archery GB’s future. Neil said: “There is no silver bullet. Becoming independent of grant funding is always a challenge. We have developed a business improvement and innovation approach to our commercial activities. 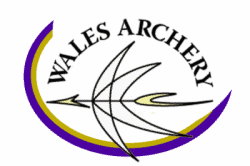 Our financial initiatives have resulted in new Partnerships with Wales Archery, Errea and The Archery Shop, which is now sponsoring the Big Weekend – and we are working on others.” These include accreditation of instructor courses by the Institute of Outdoor Learning and working with UK Sport and other sports to develop a broadcast proposition to showcase archery, among others, increasing the level of interest and exposure. The success of our archers and our involvement in the campaign group Every Sport Matters has secured extra Aspiration Funding of £192,500 in addition to our medal support plan funding, which will be used to prepare for and maximise our chances in Tokyo. We are also working hard to get archery included in the Commonwealth Games Birmingham 2022 and are awaiting a decision which we anticipate will be at the end of May. He also announced that this year’s National Tour final will be held in the grounds of Caldicott Castle, South Wales, with the support of the Welsh Assembly. The conference was followed by the AGM, which saw Mark Breigal take over from Mark Davies as Chair, Rachel Wilkinson succeed Bob McGonigle as Company Secretary and Scott Smith join the Board as a Senior Independent Director, succeeding Katherine Wilson who also came to the end of her three year term..
Yakoob Ali was confirmed as an Elected Director and Helen George was co-opted on to the Board. Departing Director Pippa Britton was thanked for her hard work, as were Mark, Katherine and Bob. Trish Lovell’s term as President came to an end and she was succeeded by Richard Custance. Derrick Lovell became a Vice-President. They also approved changes to the system of voting. These are intended to protect members rights by changing to one member one vote or by named proxy if wished. It was carried by 91 per cent of the vote. Further details will follow in the coming months on what the new voting process will look like. You can find all the AGM details, including financial information and resolutions, here. 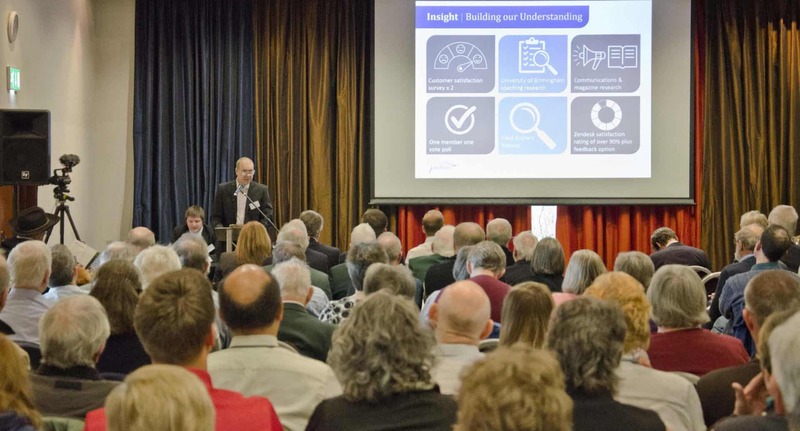 The 2020 AGM will be held on 18 April at the Crowne Plaza Birmingham NEC.